Surströmming, which translates to ‘sour fish’, is produced using Baltic Sea Herring caught in their prime, that is just before spawning during the spring, and is fermented in traditional methods, usually for a minimum of six months. It has developed a reputation as a legendary food for enthusiasts, partly due the way it smells when the can is first opened. But just how did a dish of fermented Baltic Sea herring come to be in the first place? The history of Surströmming is fascinating. Just how long Swedish people have been eating Surströmming is unclear, but there are records of the fermented Baltic sea Herring being consumed from the 16th Century, although it is very possible its history stretches back even further. It is not the only fermented dish that remains today, there are similar delicacies in Korea, known as Hongehoe, and Japan, in the form of Kusaya. But it is perhaps the most famous, with its characteristic and legendary odor. However, the question most people probably ask is not when people started eating Surströmming, but how. Fermented fish has long been a staple across Europe, the oldest archaeological proof of such dishes was found in southern Sweden and is 9,200 years old, however that was not Surströmming. Although there are many stories surrounding the way the dish came to be, notably a tale of fishermen whose catch of Herring started to rot after they ran out of salt, so they put it in barrels and sold the lot at a Finish port. Returning to the port the next year, they found the locals loved the fish and wanted more, so they decided to try it themselves. They enjoyed it too and Surströmming was born. Legends aside, the history of Surstromming seems to begin during a time when brine was very expensive, and the weak brine used in the fermenting process could have been a way to cut costs for preservation that led to this dish. At the time, storing the fish in wooden barrels would have been normal practice of course, with families making a batch of the delicacy and eating it over time. Canning only appeared in the 19th Century, and it is at that point that Surströmming became a commercial product. As a delicacy, the traditional way to eat Surströmming for Swedes has been with a thin bread known as tunnbröd, using two slices to create a sandwich. In addition to the fish, these sandwiches often contain sliced potatoes and onions. These are commonly known as "surströmmingsklämma" and remain popular in Northern Sweden where the dish originates from. 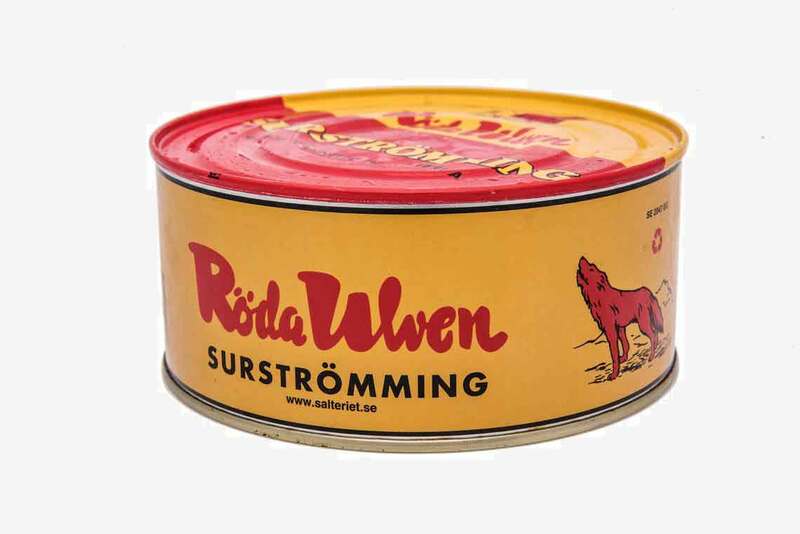 Modern Surströmming really hasn’t changed, the process may be done in commercial volumes today, but the use of strong brine for a day and then a long time in weak brine remains. Of course, the canning process has allowed Surströmming to be stored and transported much further afield than ever before, allowing an increasing number of people all around the world to sample and enjoy this most famous of Swedish delicacies. The history of Surströmming is definitely interesting, and opening a can today really is reliving that history.